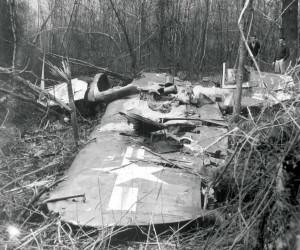 The idea for this article came about because from time to time I’ve been contacted by people looking for information about family members lost in military aviation accidents, or local historians and veteran’s organizations hoping to find more details about WWII era military crashes that occurred in their area. 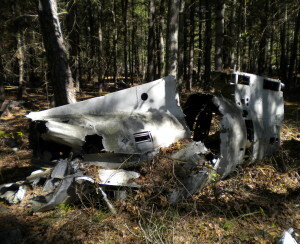 There have been literally thousands of military aviation accidents all across the United States going back to the early days of flight, however this article will focus on researching those that occurred in New England. During World War II, army and naval air fields were established in all six New England states to be utilized for coastal defense, training of new pilots, and way stations for bomber crews arriving cross-country bound for Europe. With a war on it seemed inevitable that accidents would happen – and they did -almost on a daily basis, which is the reason why the majority of New England’s military aircraft accidents occurred during World War II, (1941-1945). However, there were also accidents that occurred during the post-war years up to the 1970s. The word “accident” is appropriate, for there are no known combat related air crashes that occurred in New England. Accidents occurred for various reasons including bad weather, mechanical failure, structural failure, unforeseen ground conditions, or human error. 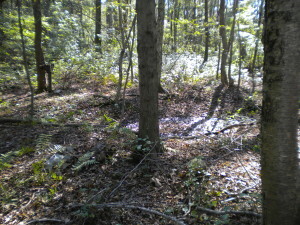 This water-filled crater in the woods of Charlestown, R.I., is where a navy Hellcat fighter crashed on May 14, 1944. Southern New England in particular has numerous World War II era wreck sites, although most are unrecognizable as such today. 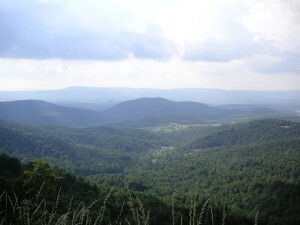 Unlike the mountain-top crash sites of northern New England where remote locations made it necessary to leave the wreckage where it fell, those in the south are generally not as obvious, for once the sites were “cleaned” by the military, Mother Nature began to reclaim the land. And some sites have been lost all together due to modern development. The first place most people begin their research is with the Internet, but sometimes this leads to a dead end. Now what? Now you get to play detective, but where do you begin? That all depends on how much information you have to start with. The following tips are offered as guidelines to genealogists and historians although they may not apply in all cases. A genealogist researching a family member killed in a plane crash will likely have the person’s name and date of death, and probably a general location, such as the name of a town, or at least the state. However, in other cases, a local historian may hear of a crash, “that happened sometime during World War II“, and is trying to learn more based vague recollections and scant information. The historian will likely have a general location, but no names or date(s) to work with. Therefore, each will have to begin their research in different ways. The date of occurrence is necessary if one is looking for newspaper articles and official reports about the accident. Unfortunately, if you don’t have the date, there’s no centralized government repository where such information is easily found. The state office/archives where vital statistics are kept should be able to provide the date and location of death, (city or town), as well as a copy of the death certificate if one is willing to pay for it. Be aware that if the deceased was initially reported as “lost” or “missing”, and was never found, (Such as lost at sea. ), the date of death might be listed as one-year-and-a-day after the date of the incident. This is called a “presumption of death” which was generally issued 366 days after the fatal incident for widow’s benefits and estate settlement purposes. If the genealogist knows the name of the town in which the accident occurred, then they can contact the town hall directly, and the name of the deceased can be looked up in town death records, which will contain the date of occurrence and other helpful information. Phone numbers for the town clerk’s office are usually posted on the town’s government website. To the historian; if you don’t have any name(s) or dates to work with, as is often the case when getting third-hand information about a crash that occurred decades earlier, there are several other options to explore presuming you at least know the municipality in which the crash occurred. The following are some suggestions to guide all researchers. 1) Contact the local historical society. Even if the town doesn’t have one, a neighboring town might. If such is not the case, many towns have at least one “unofficial” town historian – someone who has taken it upon themselves to learn all they can about local history. Finding that person could be as easy as calling the town hall, or speaking with the reference librarian at the local library. 2) Speak with the reference librarian at the local library. Sometimes libraries have local history rooms, or at least history files that are available to researchers. These files can contain news clippings, photographs, and other helpful information. If the microfilm collection isn’t indexed, that’s alright. Just knowing it’s there will be helpful later. I was once using a microfilm viewer at a library when three youths came over to ask what kind of “computer” I was using. For those too young to know, microfilm was a pre-Internet way of preserving and storing newspapers on small rolls of film. The newspaper pages would be photographed in high resolution on transparent film to be viewed by researchers using special microfilm viewing machines. Modern technology is gradually making these machines obsolete as more and more libraries digitize their collections. 3) Try contacting local veterans groups, such as the Veterans of Foreign Wars, or the American Legion Post. They may have a record of the incident, or perhaps photos or artifacts. It’s also possible they held a memorial ceremony at some point. 4) Speak with long-time residents. You can try talking with long-time local residents to see what they might know or remember. A senior center is a good place to start, but be warned, memory can be hazy when it comes to recalling incidents that occurred 50 to 70 years earlier. In 2003 I researched a military crash that occurred in August of 1943. Some people I spoke to were “positive” as to the type of aircraft involved. One said it was a B-17, another, a B-25, still another, a B-26, and one was sure it was a P-38. 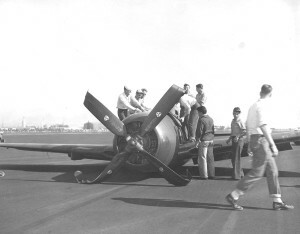 The downed plane later turned out to be an RB-34, the army’s version of the navy PV-1 Ventura. As to the date of the crash, I was given several, ranging from 1939 to 1946, all of which were incorrect. I further learned that the crash had taken on some local folklore. It seems that after the volunteer fire department had extinguished the blaze, military officials arrived and made everyone leave the immediate area. This was actually standard procedure done to protect the scene from souvenir hunters, as well as the public from any unexploded ordinance, or gruesome sights. However, the local rumor mill at the time interpreted this to be some type of “cover up”, and as time went on rumor became “fact”. It was said the plane had crashed because it was overloaded with bombs, and had been carrying top-secret military equipment, neither of which turned out to be true. That’s not to say that those you speak with will provide useless information. I found a woman who was 12-years-old at the time who saw the plane go into the hill. She’d ridden her bicycle to the scene, and was able to recall quite vividly what she saw. I also spoke with a former volunteer fireman who was too young for military service, but old enough to ride a fire truck who’d also been at the crash. If you’re lucky, you may find someone who happened to have a camera and took photos of the incident. 5) Visit the town hall. Town halls and city halls have death records (under “vital statistics”) pertaining to anyone who has ever died within the municipality. If you have the name of the pilot, or a crew member, someone in the town clerk’s office can look up the date of death for you. If you don’t have a name, there are other ways to look up the information. Before going to the town hall, it’s advisable to familiarize yourself with the state’s “open records laws” pertaining to death records. These can usually be downloaded from the state’s Secretary of State website. There’s a difference between a “death certificate” and a “death record”, and you need to be clear about what you’re asking for. Death certificates are official documents that people request certified copies of for various reasons; the probate of wills for example. (There is a fee for these.) “Death records” are generally kept in large, hard-bound, books with a canvas cover and leather spine. These books will be marked “Death Records”, and will usually contain records for a designated number of years such as from 1920 – 1945. I’ve found these books to be more or less universal from one town hall to the next, but in a couple of cases I’ve been to town halls that didn’t use them, and stored old records differently. Researching the town’s death records without a name or date is difficult, but not impossible. The “death record” books have an alphabetical name index used to look up the name of the deceased. It tells the clerk which page in the book the record will be found. However, names aside, in most cases all death records are entered in the book(s) in the sequential order in which they occurred, not by alphabetical order. Therefore, if you know the year, or a specific time frame, using the book that contains the records from that year or time frame is the place to start. Here’s how it can be done. Each death record entry lists a “cause of death”, i.e. heart attack, drowning, accident, etc. Those involving a plane crash will state something to the effect of “massive trauma resulting from plane crash”, or “severe burns due to plane crash”. Under “occupation” should be some reference to military service. Unless you’re dealing with a municipality located near an active or former military air base, chances are there will be very few military plane crash deaths listed. Therefore, if you know the crash took place in a particular time frame, such as the summer of 1944, the clerk can skim through the pages for July and August looking at “cause of death” to find what you’re looking for. If you know the exact date of the incident, but don’t have any names, the incident could be looked up by the date alone because the death records are entered in the order of occurrence, and not by alphabetical order. Therefore, looking up the records only requires opening the death record book to the page(s) that contain the entries for that date. If more than one person was killed in the same plane crash, all names should be listed together in the book, either on the same page or the one following it, regardless of where they fall alphabetically on the name index. An exception to this could be if one of the victims died days or weeks later due to their injuries. Many New England towns were still “small towns” during the 1940s and 50s. Therefore, there may not be very many death records to sort through to find what you’re looking for. Unfortunately this is not true with larger municipalities. Some clerks may be under the impression that since it was a military plane crash, the deaths won’t be found in their records, but in the town hall records of the hometowns of where the servicemen came from. In some cases this may be true as with “presumption of death” entries done for estate settlement purposes. However, these are general cases where a body was never found. Under most circumstances, any and all deaths that occur in a municipality are supposed to be recorded in that municipality where the death occurred. Having said that, there could still be other exceptions. For example, suppose a man is injured in Town A, and is transported to a hospital in Town B, where he dies. Or he is pronounced “dead on arrival” at the hospital. In either case, his death record is likely going to be found in Town B. 6) Local police and fire departments. You could try seeking official reports or photographs from local fire and police departments, but generally such records no longer exist. Most fire departments were volunteer organizations until the later half of the 20th century, and many small towns during the 1940s and 50s were policed by part-time officers or constables. In many cases, municipal police and fire departments today are only required to keep records for seven years unless the case is still “active”, such as with an unsolved murder. 7) Aviation Museums. One can also contact regional aviation museums to see if they might have any information on the crash you’re investigating. This is a long shot, but in one instance it paid off for me. Not all WWII aviation accidents involved fatalities. Another idea is to try looking up squadron histories if the squadron number or designation is known. So you have the date and place of occurrence, now what? Once you have the date and location of the accident you can gather more information through sources that are mentioned in Section I. 1) Newspaper microfilm collections at a library will hopefully provide details about the crash. Unfortunately, in some cases they give extremely little information depending upon what else was going on with the war and locally at the time. In other cases they weren’t reported at all. This is more likely if the paper was a weekly instead of a daily. 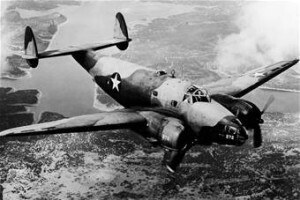 Newspaper articles may provide the type of aircraft involved, but when the press wasn’t sure, sometimes the aircraft would be described as a “navy fighter plane”, or an “army bomber-type aircraft”, which isn’t much help to the researcher other than to give the branch of service it belonged to. Sometimes names of the deceased weren’t mentioned in the press because they were withheld pending notification of next-of-kin. However, by knowing the date of occurrence, the names can be looked up in municipal death records. In other instances, to save space, the reporter may have only used first and middle initials. Again, full names can be determined through death records. If you do locate an article about the crash, remember that follow-up articles may have appeared in the same paper over the next few days. If other newspaper microfilm collections exist at other libraries, see if they reported different accounts of the crash. You might be surprised to see how one newspaper covered the event in far more detail than another. 2) Getting back to municipal death records. One piece of information they contain is the place of burial, which is generally in or near the person’s hometown. Since many airmen weren’t from New England, the press may not have included much personal information about them, such as where they went to school, what organizations they belonged to, what they did prior to the war, etc. That information will likely be found in their hometown newspapers. 3) Getting back to reference librarians – or you could do this next part on your own. The reference librarian can contact a library in the deceased’s home town and ask them to look in their microfilm collection for any articles pertaining to the person, and any follow-up articles about the funeral. Such articles might contain a photo of the deceased. 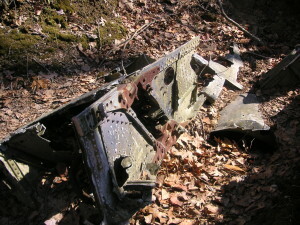 Wreckage from a navy aircraft in the woods of Connecticut. Newspaper articles might only tell part of the story – the part that the military deemed appropriate due to wartime or military secrecy. If you want to learn more then you may want to obtain a copy of the official crash investigation report. The cost of a report depends on the number of pages, and whether or not there are photos that go with it. I’ve seen reports that have over 100 pages, and others that have as few as 2. Information found in these reports may or may not contain information about the aircraft, copies of maintenance records, witness statements, the investigation committee’s findings as to the cause of the crash, recommendations pertaining to any discipline, and ways to prevent future occurrences. Each circumstance is different. After researching the crash, you may want to erect some type of memorial honoring the men who lost their lives so their sacrifice won’t be forgotten. This is a noble cause, but there’s a lot to consider before getting started. First there are some basic questions you need to ask yourself. 1) Would the memorial be placed at the site of the crash where only a few might see it, or in a public park, or other location where everyone can see it? Be aware that private property owners may not want a memorial on their land for various reasons. 2) What permissions or municipal permits would need to be obtained? 3) How big should the memorial be, and what materials would be used? 4) What is the projected cost, and how will the money be raised? 5) Who will do the work? 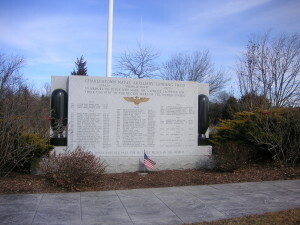 6) Does the town already have a WWII memorial, and if so, can the names of those killed in the crash be added? With a project of this type y0u should solicit the help of people who can get things done on a municipal level. Contacting local veterans groups, civic organizations, and politicians can be a good place to start. Newspapers and magazines can be helpful with publicity by writing stories about the project. Good luck with your research. If you have any questions, please feel free to contact this website.